With golf being a non contact sport, you wouldn’t think that many injuries occur on the golf course. Well, research has shown that 15-20% of regular golfers experience some sort of injury each year. Repetitive strain on muscles, tissues, and bones is a common reason that golf injuries occur. 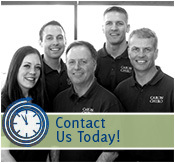 If you live in St. Paul, MN, and have recently gotten injured playing golf, consider partnering with Caron Chiropractic Clinic, P.A., for all of your rehabilitation needs! Through our non medicinal recovery options, you will be able to get back on the course pain free in no time! Back Pain – Arguably the most common golf injury is lower back pain. Bending over into the proper swing posture can often times cause strain to your back. Elbow Pain – Many individuals struggle with elbow issues because of the repetitive swinging that occurs. One’s elbow motion is a big part of the golf swing which is what makes this a common injury. Plantar Fasciitis – Especially for those individuals that walk the golf course, injury to your feet can be common. This injury happens more frequently in older age golfers, and is very painful. Knee Issues – A golf swing puts immense pressure on one’s knees. It makes sense that knee problems occur with avid golfers that have been playing for years. 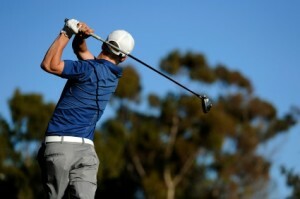 Shoulder Pain – A large part of the golf swing comes from your shoulders. The side to side movement of the swing can damage the shoulder over time. Year after year, chiropractic services have become increasingly popular in the sports rehabilitation world. By focusing on spinal and extremity manipulations and adjustments, our staff can help with chronic pain that you face as well as help decrease the likelihood of future injury. Our dedicated team can help you in a number of other ways including better flexibility, balance, and range of motion, which are all very important aspects of a good golfer. Whether you are looking for preventive wellness care or you need assistance with a current injury, we can help! So, if you had a golf injury and are looking for holistic pain relief, look no further than Caron Chiropractic Clinic, P.A. If you live in St. Paul, MN, give us a call today at (651) 255-9999 to learn more about our golf injury rehabilitation services so you can get back out on the course soon! This entry was posted	on Sunday, June 21st, 2015 at 12:56 am	and is filed under Back Pain, Chiropractic, Chiropractic Treatments, Sports Injury. You can follow any responses to this entry through the RSS 2.0 feed. You can leave a response, or trackback from your own site.